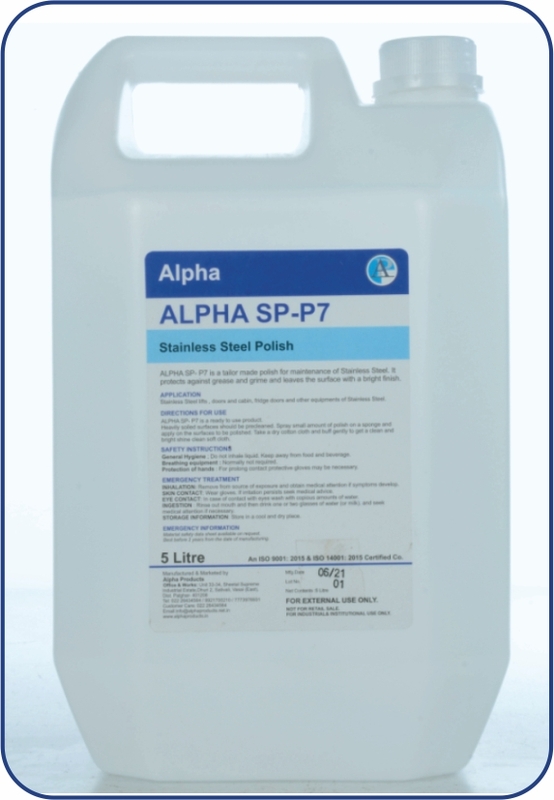 ALPHA-SP -P7 is a tailor made polish for maintenance of stainless steel. It protects against grease and grime and leaves the surface with a bright finish. Stainless steel lifts doors and cabin, fridge doors and other equipment’s of stainless steel. ALPHA-SP-P7 is a ready- to- use product. Heavily soiled surfaces should be pre-cleaned. Spray polish on surfaces and polish off with a clean soft cloth. After use rinse your hands with soap and dry them. Don‘t use on food contact surfaces.